Welcome to Mercedes-Benz of El Cajon, we proudly offer this beautiful and low miles 2018 Mercedes-Benz GLA 250 with the following options:March Special! !Original MSRP $36015.00Sale Price $32900.00New Price! Certified. Polar Silver 2018 Mercedes-Benz GLA GLA 250 FWD 7-Speed Automatic 2.0L I4 DI Turbocharged LOW, LOW MILES! !, GREAT VALUE, Alloy Wheels, Backup Camera, Bluetooth, Climate Package, Android Auto, Apple CarPlay, Smartphone Integration, Smartphone Integration (14U).Odometer is 818 miles below market average! 24/33 City/Highway MPGMercedes-Benz Certified Pre-Owned Details:* 165 Point Inspection* Includes Trip Interruption Reimbursement and 7 days/500 miles Exchange Privilege* Vehicle History* Warranty Deductible: $0* Roadside Assistance* Limited Warranty: 12 Month/Unlimited Mile beginning after new car warranty expires or from certified purchase date* Transferable WarrantyAwards:* JD Power Initial Quality Study (IQS)We promise that you'll enjoy your experience with Mercedes-Benz of El Cajon. Whether you live 5 miles away or 500 miles away, you will receive a level of service never experienced before. If you live out of the area, we'll gladly pick you up at the San Diego International Airport or alternatively, buy in comfort and we'll deliver this vehicle to your doorstep.Welcome to Mercedes-Benz of El Cajon, we proudly offer this beautiful and low miles 2018 Mercedes-Benz GLA 250 with the following options:March Special! !Original MSRP $36015.00Sale Price $32900.00New Price! Certified. Polar Silver 2018 Mercedes-Benz GLA GLA 250 FWD 7-Speed Automatic 2.0L I4 DI Turbocharged LOW, LOW MILES! !, GREAT VALUE, Alloy Wheels, Backup Camera, Bluetooth, Climate Package, Android Auto, Apple CarPlay, Smartphone Integration, Smartphone Integration (14U).Odometer is 818 miles below market average! 24/33 City/Highway MPGMercedes-Benz Certified Pre-Owned Details:* 165 Point Inspection* Includes Trip Interruption Reimbursement and 7 days/500 miles Exchange Privilege* Vehicle History* Warranty Deductible: $0* Roadside Assistance* Limited Warranty: 12 Month/Unlimited Mile beginning after new car warranty expires or from certified purchase date* Transferable WarrantyAwards:* JD Power Initial Quality Study (IQS)We promise that you'll enjoy your experience with Mercedes-Benz of El Cajon. Whether you live 5 miles away or 500 miles away, you will receive a level of service never experienced before. If you live out of the area, we'll gladly pick you up at the San Diego International Airport or alternatively, buy in comfort and we'll deliver this vehicle to your doorstep. Welcome to Mercedes-Benz of El Cajon, we proudly offer this beautiful and low miles 2018 Mercedes-Benz GLA 250 with the following options:March Special! !Original MSRP $35995.00Sale Price $32900.00New Price! Certified. Polar White 2018 Mercedes-Benz GLA GLA 250 FWD 7-Speed Automatic 2.0L I4 DI Turbocharged Alloy Wheels, Backup Camera, Bluetooth, Climate Package, Convenience Package, Leather Seats, Android Auto, Apple CarPlay, Auto-Dimming Rearview & Driver-Side Mirrors, Beige Roof Liner, Compass, Garage Door Opener, Smartphone Integration, Smartphone Integration (14U).Odometer is 2665 miles below market average! 24/33 City/Highway MPGMercedes-Benz Certified Pre-Owned Details:* Transferable Warranty* Warranty Deductible: $0* Includes Trip Interruption Reimbursement and 7 days/500 miles Exchange Privilege* 165 Point Inspection* Roadside Assistance* Vehicle History* Limited Warranty: 12 Month/Unlimited Mile beginning after new car warranty expires or from certified purchase dateAwards:* JD Power Initial Quality Study (IQS)We promise that you'll enjoy your experience with Mercedes-Benz of El Cajon. Whether you live 5 miles away or 500 miles away, you will receive a level of service never experienced before. If you live out of the area, we'll gladly pick you up at the San Diego International Airport or alternatively, buy in comfort and we'll deliver this vehicle to your doorstep.Welcome to Mercedes-Benz of El Cajon, we proudly offer this beautiful and low miles 2018 Mercedes-Benz GLA 250 with the following options:March Special! !Original MSRP $35995.00Sale Price $32900.00New Price! Certified. Polar White 2018 Mercedes-Benz GLA GLA 250 FWD 7-Speed Automatic 2.0L I4 DI Turbocharged Alloy Wheels, Backup Camera, Bluetooth, Climate Package, Convenience Package, Leather Seats, Android Auto, Apple CarPlay, Auto-Dimming Rearview & Driver-Side Mirrors, Beige Roof Liner, Compass, Garage Door Opener, Smartphone Integration, Smartphone Integration (14U).Odometer is 2665 miles below market average! 24/33 City/Highway MPGMercedes-Benz Certified Pre-Owned Details:* Transferable Warranty* Warranty Deductible: $0* Includes Trip Interruption Reimbursement and 7 days/500 miles Exchange Privilege* 165 Point Inspection* Roadside Assistance* Vehicle History* Limited Warranty: 12 Month/Unlimited Mile beginning after new car warranty expires or from certified purchase dateAwards:* JD Power Initial Quality Study (IQS)We promise that you'll enjoy your experience with Mercedes-Benz of El Cajon. Whether you live 5 miles away or 500 miles away, you will receive a level of service never experienced before. If you live out of the area, we'll gladly pick you up at the San Diego International Airport or alternatively, buy in comfort and we'll deliver this vehicle to your doorstep. Welcome to Mercedes-Benz of El Cajon, we proudly offer this beautiful 2018 Mercedes-Benz GLA 250 with the following options:March Special! !Original MSRP $38400.00Sale Price $33900.00New Price! Certified. Jupiter Red 2018 Mercedes-Benz GLA GLA 250 4MATIC® 4MATIC® 7-Speed Automatic 2.0L I4 DI Turbocharged Alloy Wheels, Backup Camera, Bluetooth, Climate Package, Leather Seats, 18 5-Spoke Aluminum Wheels, Android Auto, Apple CarPlay, Black Headliner, Blind Spot Assist, Heated Front Seats, Smartphone Integration, Smartphone Integration (14U).Odometer is 3021 miles below market average! 23/31 City/Highway MPGMercedes-Benz Certified Pre-Owned Details:* Roadside Assistance* Vehicle History* 165 Point Inspection* Transferable Warranty* Limited Warranty: 12 Month/Unlimited Mile beginning after new car warranty expires or from certified purchase date* Warranty Deductible: $0* Includes Trip Interruption Reimbursement and 7 days/500 miles Exchange PrivilegeAwards:* JD Power Initial Quality Study (IQS)We promise that you'll enjoy your experience with Mercedes-Benz of El Cajon. Whether you live 5 miles away or 500 miles away, you will receive a level of service never experienced before. If you live out of the area, we'll gladly pick you up at the San Diego International Airport or alternatively, buy in comfort and we'll deliver this vehicle to your doorstep.Welcome to Mercedes-Benz of El Cajon, we proudly offer this beautiful 2018 Mercedes-Benz GLA 250 with the following options:March Special! !Original MSRP $38400.00Sale Price $33900.00New Price! Certified. Jupiter Red 2018 Mercedes-Benz GLA GLA 250 4MATIC® 4MATIC® 7-Speed Automatic 2.0L I4 DI Turbocharged Alloy Wheels, Backup Camera, Bluetooth, Climate Package, Leather Seats, 18 5-Spoke Aluminum Wheels, Android Auto, Apple CarPlay, Black Headliner, Blind Spot Assist, Heated Front Seats, Smartphone Integration, Smartphone Integration (14U).Odometer is 3021 miles below market average! 23/31 City/Highway MPGMercedes-Benz Certified Pre-Owned Details:* Roadside Assistance* Vehicle History* 165 Point Inspection* Transferable Warranty* Limited Warranty: 12 Month/Unlimited Mile beginning after new car warranty expires or from certified purchase date* Warranty Deductible: $0* Includes Trip Interruption Reimbursement and 7 days/500 miles Exchange PrivilegeAwards:* JD Power Initial Quality Study (IQS)We promise that you'll enjoy your experience with Mercedes-Benz of El Cajon. Whether you live 5 miles away or 500 miles away, you will receive a level of service never experienced before. If you live out of the area, we'll gladly pick you up at the San Diego International Airport or alternatively, buy in comfort and we'll deliver this vehicle to your doorstep. Welcome to Mercedes-Benz of El Cajon, we proudly offer this beautiful 2018 Mercedes-Benz CLA 250 with the following options:New Price!! Certified. Polar Silver 2018 Mercedes-Benz CLA CLA 250 FWD 7 Speed Dual Clutch DCT 2.0L I4 Turbocharged LOW, LOW MILES! !, GREAT VALUE, Alloy Wheels, Backup Camera, Bluetooth, Climate Package, Leather Seats, Premium Package, 8 Color Display Upgrade, Android Auto, Apple CarPlay, Blind Spot Assist, HANDS-FREE ACCESS, Heated Front Seats, KEYLESS GO®, Premium Package, Radio: Audio 20 CD w/Garmin Navigation Pre-Wiring, Single CD Player, SiriusXM Satellite Radio, Smartphone Integration, Smartphone Integration (14U).Odometer is 2860 miles below market average! 24/37 City/Highway MPGMercedes-Benz Certified Pre-Owned Details:* Roadside Assistance* Warranty Deductible: $0* Includes Trip Interruption Reimbursement and 7 days/500 miles Exchange Privilege* Transferable Warranty* 165 Point Inspection* Vehicle History* Limited Warranty: 12 Month/Unlimited Mile beginning after new car warranty expires or from certified purchase dateWe promise that you'll enjoy your experience with Mercedes-Benz of El Cajon. Whether you live 5 miles away or 500 miles away, you will receive a level of service never experienced before. 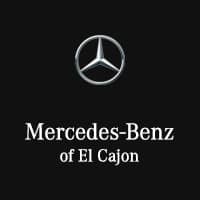 If you live out of the area, we'll gladly pick you up at the San Diego International Airport or alternatively, buy in comfort and we'll deliver this vehicle to your doorstep.Welcome to Mercedes-Benz of El Cajon, we proudly offer this beautiful 2018 Mercedes-Benz CLA 250 with the following options:New Price!! Certified. Polar Silver 2018 Mercedes-Benz CLA CLA 250 FWD 7 Speed Dual Clutch DCT 2.0L I4 Turbocharged LOW, LOW MILES! !, GREAT VALUE, Alloy Wheels, Backup Camera, Bluetooth, Climate Package, Leather Seats, Premium Package, 8 Color Display Upgrade, Android Auto, Apple CarPlay, Blind Spot Assist, HANDS-FREE ACCESS, Heated Front Seats, KEYLESS GO®, Premium Package, Radio: Audio 20 CD w/Garmin Navigation Pre-Wiring, Single CD Player, SiriusXM Satellite Radio, Smartphone Integration, Smartphone Integration (14U).Odometer is 2860 miles below market average! 24/37 City/Highway MPGMercedes-Benz Certified Pre-Owned Details:* Roadside Assistance* Warranty Deductible: $0* Includes Trip Interruption Reimbursement and 7 days/500 miles Exchange Privilege* Transferable Warranty* 165 Point Inspection* Vehicle History* Limited Warranty: 12 Month/Unlimited Mile beginning after new car warranty expires or from certified purchase dateWe promise that you'll enjoy your experience with Mercedes-Benz of El Cajon. Whether you live 5 miles away or 500 miles away, you will receive a level of service never experienced before. If you live out of the area, we'll gladly pick you up at the San Diego International Airport or alternatively, buy in comfort and we'll deliver this vehicle to your doorstep. Welcome to Mercedes-Benz of El Cajon, we proudly offer this beautiful and super low miles 2018 Mercedes-Benz GLA 250 with the following options:March Special! !Original MSRP $39625.00Sale Price $33900.00Certified. Grey 2018 Mercedes-Benz GLA GLA 250 4MATIC® 4MATIC® 7-Speed Automatic 2.0L I4 DI Turbocharged Aluminum Wheels, Backup Camera, Bluetooth, Convenience Package, Android Auto, Apple CarPlay, Auto-Dimming Rearview & Driver-Side Mirrors, Convenience Package, Garage Door Opener, Smartphone Integration, Smartphone Integration (14U).23/31 City/Highway MPGMercedes-Benz Certified Pre-Owned Details:* 165 Point Inspection* Transferable Warranty* Warranty Deductible: $0* Limited Warranty: 12 Month/Unlimited Mile beginning after new car warranty expires or from certified purchase date* Includes Trip Interruption Reimbursement and 7 days/500 miles Exchange Privilege* Vehicle History* Roadside AssistanceAwards:* JD Power Initial Quality Study (IQS)We promise that you'll enjoy your experience with Mercedes-Benz of El Cajon. Whether you live 5 miles away or 500 miles away, you will receive a level of service never experienced before. If you live out of the area, we'll gladly pick you up at the San Diego International Airport or alternatively, buy in comfort and we'll deliver this vehicle to your doorstep.Welcome to Mercedes-Benz of El Cajon, we proudly offer this beautiful and super low miles 2018 Mercedes-Benz GLA 250 with the following options:March Special! !Original MSRP $39625.00Sale Price $33900.00Certified. Grey 2018 Mercedes-Benz GLA GLA 250 4MATIC® 4MATIC® 7-Speed Automatic 2.0L I4 DI Turbocharged Aluminum Wheels, Backup Camera, Bluetooth, Convenience Package, Android Auto, Apple CarPlay, Auto-Dimming Rearview & Driver-Side Mirrors, Convenience Package, Garage Door Opener, Smartphone Integration, Smartphone Integration (14U).23/31 City/Highway MPGMercedes-Benz Certified Pre-Owned Details:* 165 Point Inspection* Transferable Warranty* Warranty Deductible: $0* Limited Warranty: 12 Month/Unlimited Mile beginning after new car warranty expires or from certified purchase date* Includes Trip Interruption Reimbursement and 7 days/500 miles Exchange Privilege* Vehicle History* Roadside AssistanceAwards:* JD Power Initial Quality Study (IQS)We promise that you'll enjoy your experience with Mercedes-Benz of El Cajon. Whether you live 5 miles away or 500 miles away, you will receive a level of service never experienced before. If you live out of the area, we'll gladly pick you up at the San Diego International Airport or alternatively, buy in comfort and we'll deliver this vehicle to your doorstep.